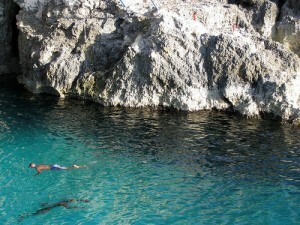 It is nearly impossible to put into words the natural beauty of Negril. Miles of powder white sand bound by lush tropical foliage. If you close your eyes and try to imagine paradise, you will likely see Negril. From the water, it is difficult to see resorts and other buildings as they are nestled perfectly within the tropical lanscape. Trip insurance is a great idea for many reasons. Peace of mind is the biggest for me!! Not only do you get coverage for things like family illness, burglary, assault, loss of job, etc., but you are also covered for trip delays, lost luggage and delayed luggage. The most important benefit is medical coverage, (most health plans back home don’t cover you while out of the country) and the next huge benefit is medical evacuation. Medical evacuation and air ambulances are very costly and having the insurance affords you the benefit of getting where you need to be to receive adequate medical treatment. Just to give you an example, the last cruise we were on a guy had to be airlifted off the ship and the cost was $72,000. Without insurance, you are on you own for providing what might be a lifesaving event. Give us a call at 800-817-9721 or send an e-mail to info@LoveAdventuresTravel.com and we will get you an estimate and send you a copy of the brochure. “Don’t Leave Home Without It” is crucial when it comes to trip insurance!!! And it really isn’t very expensive!!! One of the best parts of an all inclusive vacation is the fact that once you’re here, you won’t need to spend another penny. However, should you decide to visit some of the local attractions or take advantage of some of the outstanding bargains, you will need money. We will be happy to exchange currency on the premises. The Jamaican dollar is the legal tender in Jamaica. Most merchants will accept U.S. dollars as well as major credit cards like Visa, MasterCard and American Express. Pack light! The weather in Jamaica is delightful all year long. Daytime Averages: 82°F, 28°C. Nighttime Averages: 72°F, 22°C. Be sure to bring strong protection against the Caribbean sun: • Sunscreen • Suntan lotion • Sunglasses • Hats & visors • Whatever you need can also be purchased at the resort. Don’t panic! It’s your vacation so dress like it. We recommend light clothing and plenty of shorts, swimsuits and cover-ups. And if you plan to play golf, tennis or workout, make sure you have the appropriate attire. We suggest one large suitcase and a comfortable carry-on bag for essentials. If you’re looking to bring back more from your vacation than a lifetime of memories, try our Hedonism gift shop. You’ll find a wide assortment of wonderful gifts for those special people you left behind. Golf is available at a beautiful course nearby, for an additional charge. You can also rent clubs, if you decide not to bring your own. Hair dryers are provided in every room. All rooms are equipped with an iron and ironing board. A Registered Nurse with regular office hours is on the premises. In the event of a medical emergency, a qualified medical doctor is on call 24-hours a day. If a doctor is called, there will be a charge. Guests with any pertinent medical information or specific medication needs are asked to notify us in advance. A valid passport is required for travel to Jamaica. Every room at Hedonism is equipped with a safe deposit box. We advise all guests to store their jewelry, cash and other valuables in this secure place. We cannot be responsible for lost or stolen items. We will happily provide all necessary Scuba gear, but you’re free to bring your own equipment. If you are qualified, bring an international “C” card or a certificate from an internationally recognized dive school. After passing, you will need to have a current Diving Medical Certificate or obtain one from a local physician. We can arrange this for a small charge. Allow your stresses to melt away while our therapists help you rejuvenate, relax and revitalize. Choose from an extensive selection of treatments: massage, facial, manicure, pedicure and couples massage, to name a few. All available for an additional fee. When you’re ready to cut loose and have some fun, Hedonism is the perfect place to do it. You can sail, windsurf, snorkel and scuba dive. You can play tennis. Or you can just float around the pool until it’s time for your next meal. Tipping is simply not permitted at Hedonism. We cannot emphasize this enough. Your courtesy, respect and a sincere ‘thank you’ are all we ask. However, tipping is customary for all airport baggage personnel, cab drivers, etc. Air transportation and airport transfers are not included. Transfers to and from the Montego Bay airport are available at an additional charge. If purchased, return flights to your home city are confirmed by our Reservations Department.